GM Susan Polgar, GM Maurice Ashley, GM Gregory Kaidanov and 700 kids participated in the Queen City Classic over the weekend in Cincinnati. See Susan Polgar's blog for wonderful coverage and photos. 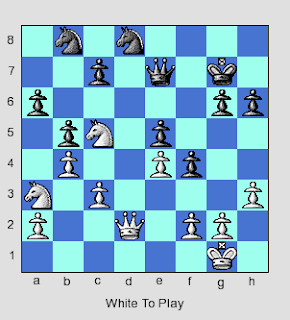 Mark Weeks at about.com has posted a very nice collection of 64 classic chess games that can easily be viewed online. To save the games in .pgn format, Mark has this page. It's not a download, but he has simple instructions that will allow you to save the games to your database for later viewing using your chess engine of choice. Chess: The Quiet, Gentlemanly Game; NOT! GM Susan Polgar posted this very amusing video at her blog, courtesy of her sister Sofia. Each player tries to outwit his opponent, everywhere but the chess board. This is a very nicely done 20-minute video by the Krzymowski family, of the 2005 European Individual Chess Championship. Among others, you'll see interviews with the 15-year-old GM Sergey Karjakin, the 18-year-old GM Teimour Radjabov, GM Vassily Ivanchuk, and Henrik Carlsen, father of GM Magnus Carlsen. All commentary is either in English or has English sub-titles. Simple Example of "The Opposition"
At Chess Life Online, GM Joel Benjamin answers a reader's question that involves the most basic case of how a game can be won or drawn with a proper understanding of the opposition. 1) In the position below with White to move, who wins? 2) In the position below with Black to move, who wins? How Can I Improve, Bruce? Bruce Pandolfini has written another "Q & A" column at ChessCafe and he's a bit toned down this month. 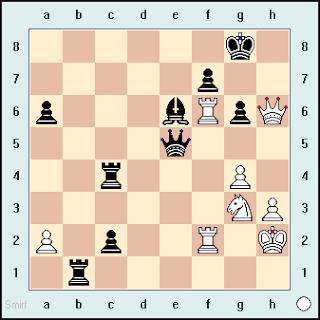 Several questions revolve around the classic issue, "How can I best improve my chess?" and Bruce offers a number of helpful suggestions. In the latest ChessCafe Dutch Treat column by Hans Ree, he reviews an interesting story about Emanuel Lasker en route from Europe to New York for the classic 1924 New York tournament, which Lasker won. On board the ship Lasker found another traveler who was analyzing a chess position. The fellow, not knowing who Lasker was, offered to play him, giving Lasker queen odds. Lasker conveniently lost the first two games, after which he told his opponent that it must be that playing without the queen represented an advantage, and asked to play again, this time with Lasker giving queen odds to his unwitting opponent. The opponent reluctantly agreed, and was amazed when Lasker then won the next two games, leaving the poor fellow "in bewilderment about the nature of the game of chess," writes Ree. Hans goes on to provide more background information about the other players traveling from Europe to New York for the tournament, and then updates us with the more recent example of Jaan Ehlvest playing the Rybka chess engine, with Ehlvest receiving pawn odds in each of eight games. Interestingly, it was a different pawn that was removed from the computer's setup each game. "There are three types of people in the world, those who can count and those who can’t." So writes a frustrated IM Josh Friedel in Part 2 of his Chess Life Online coverage of his experiences (and those of pal IM David Pruess) at the recent Capelle tournament in France. Part 1 is still available if you missed it. "It was the most lopsided Final Four victory in the history of the event," said University of Texas-Dallas Chess Program Director Jim Stallings. "Normally, only a half-point or 1 point separates the top two teams. This time UTD scored more than the 2nd and 3rd teams combined." Moreover, UTD has now surpassed Joe Dimaggio's 56-game hitting streak, having gone undefeated through 48 games of December's Pan American Intercollegiate Championship and through all 12 games of the Final Four. And you thought Florida, Ohio State, UCLA and Georgetown were playing in the Final Four. See the final crosstable for more detailed information. Selected games can be found at the MonRoi site, and you can read a Dallas Morning News article on the tournament as well. Thank you to Dr. Alexey Root and Jim Stallings of UTD for providing information for this report. "Chess Books to Read Without a Board"
Mark Weeks of about.com provides us with his top chess books, both in non-fiction and fiction categories. However, you won't find the latest on the Slav or Caro-Kann here. These are books you can read on the couch, or as Mark suggests, on the beach or in the hammock. His article can be found here. How About a Master's Degree in Chess? "Chess is more than fun to first-year students in Hampton's five-year MBA program. It's part of the curriculum. A third of the course Critical Analysis and Strategy is devoted to learning and playing it...'Think and Move' is the slogan for the program's 230 students." "[Chess] is somewhat brutal," says the schools's dean, "but so is corporate America." In this Reuters report from March 23, 2007, The Kings of New York author Michael Weinreb is interviewed about his experiences with the Edward R. Murrow chess team. In the article, Weinreb expresses hope that chess might be able to become more mainstream in this country. Anything's possible! Can You Make Critical Decisions? In this month's Novice Nook column at ChessCafe, Dan Heisman notes the importance of spending more time on critical positions. But can you correctly identify which positions are critical and which are not? Read Dan's column and find out! At ChessCafe for the next several days, you'll find my review of Steve Giddins' book 101 Endgame Tips. If you're looking for a complete reference guide to every king + 3 pawns vs king + 2 pawns ending, look elsewhere. But if you'd like a quick and concise review of basic endgame essentials, this is a great book. "Boys Get On Your Nerves"
Betsy Dynako has a very nice photo essay at Chess Life Online regarding the 4th Annual All-Girls National Championship, sponsored by the Kasparov Chess Foundation. The field was limited to 136 players due to the recent snowstorms in the northeast that prevented many girls from attending. However, Anna Matlin from New Jersey was there, and is quoted as saying, "Girl-only tournaments are fun because boys often get on your nerves. Girls are polite to each other." 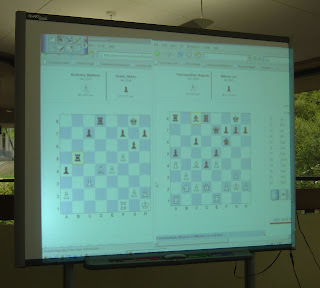 Coach Eliot Weiss sent along this link to an ESPN video about the Edward R. Murrow chess team. Thanks, Eliot, and good luck at the Nationals in Kansas City! How About a Little Help from Blogger ??? I do appreciate the free blogger platform, but it is frustrating to have completed a long post, go to publish, then get an error message, followed by the exasperating loss of the entire post! Blogger provides error information to send in order to help them decipher the problem, but somehow has neglected to provide an e-mail address where this information is to be sent. All I'm asking for is a little customer service. Anyone listening out there? Turn Your Volume On, But Not Too Loud! "Although Chessdude64’s younger sibling, who we affectionately refer to as Boomer, has hung around the chessboard and eagerly observed many of Chessdude’s lessons over the years, he really hasn’t taken to the game. Rather, my youngest one’s strengths and abilities lean towards watching television." See the video below, taken by ChessDude, which better explains the issue. GM Susan Polgar writes in her blog about one of her chess students who "Finally broke through and won the National 2nd Grade Championship in December. He also became the #1 ranked 7 year old in the country. This was the beginning of the downfall." The problem? "He resisted solving puzzles. He resisted working on his endgame. He resisted practicing, learning and improving. He thought he was the King of the Hill! This happens to a lot of young players with early strong results." The player she writes about is her own son Tommy, who then encountered major difficulties in subsequent tournaments. As hard as it was for her to watch, she notes that "As a Chess Coach, this was the best thing that could have happened to Tommy. It was a real wake up call to him." Polgar continues: "As my father used to say, every day that you do not practice chess, you lose the knowledge of 10 days. Practice makes perfect and it has to be done on a consistent basis. 15-30 minutes a day on busy days is still better than nothing." Most of us have to actually experience this kind of over-confidence (in any arena of activity) to really take it to heart. My advice: save yourself the trouble. Susan Polgar's father understood the importance of repetition and it applies to any field of learning. There is no standing still - any day you don't progress, you regress. Greg Shahade presents his lastest Juniors Rating Update, in which he provides his opinions about the top 11 junior players in the U.S., and discusses some of the up-and-coming youngsters who may be on the list before long. Greg's sister Jennifer Shahade writes about her March 11 class at New York's Marshall Chess Club for girls and women. Her students ranged in age from 8 to 55. Josh Friedel includes a humorous piece about the experiences that he and David Pruess had at the Capelle tournament in France in March. 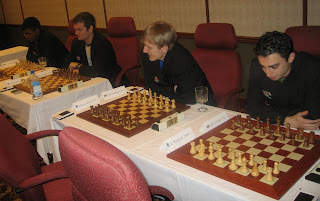 It was at this tournament that Pruess picked up a GM norm. It's not new, but I haven't yet added this video that has been making the chess blog rounds. It's the Good Morning America interview of David Shenk after the publication of his book The Immortal Game. As noted by bloggers Lamarr Wilson and Tom Panelas, today's Chicago Tribune featured an article on the front page, written by Tribune reporter Stephanie Banchero. The article, and the blogs noted above, discuss the serious problems at the recent Chicago Public Schools citywide chess championship that caused about half the players to walk out on the event. Panelas, of the Ray School Chess Club, tells me "I was at the tournament, and the article is very accurate." This may not be the best reason for chess to hit the front page, but I get the impression that a number of chess coaches at Chicago's schools are confident that this will lead to some major changes, for the better. In the meantime, they are organizing their own citywide championship on April 21. Did Capablanca Ever Win A Capablanca Memorial Tournament? "Gary Brassard of Leominster celebrated his 50th birthday recently by winning a chess tournament in his honor at the Wachusett Chess Club at Fitchburg State College. The nationally rated Class B player took part in the Gary R. Brassard Quinquagenarian Open at FSC and came from behind to finish first with a score of 4-1 in a field of 14 players." Although this is the Scholastic Chess Gateway, nevertheless we're not incapable of recognizing the "elders" of the chess world as well. Congratulations to Mr. Brassard on winning the Brassard Quinquagenarian Open (is "quinquagenarian" really a word?). Maybe they're on to something in Leominster, Massachusetts. This may be a great way to increase sponsorship of tournaments. After all, if you can buy your way into the U.S. Championship tournament, why can't you just buy an entire tournament and name it after yourself, a loved one, a friend or perhaps a pet? We could have the Barbara Bush Blitz or maybe the Sparky Scholastic Championship. While exploring around the great puzzle site www.wtharvey.com, I came across a link to the Chess Tactics Server. This is a free site in which you can either sign in as a guest or register. As stated at the website, "Currently 23,803 tactical chess problems with a degree of difficulty ranging from trivial to ambitious are provided to be solved against the clock." Be prepared to think quickly! A position is shown, with either a white box or black box blinking. This indicates whose turn it is to move. After a few seconds, the computer makes a move, at which point you have to decide how to respond. Thus, when the position is initially shown, don't move yet - quickly scan the position, wait for the computer to move, then as quickly as possible come up with a correct move. Your "rating" moves up or down (or unchanged) depending on whether you answered correctly or not, and how quickly. In addition to an unknown number of guests who try the tactics puzzles, the site claims to have over 10,000 registered users, or "tacticians," of which 1850 are active. Take a few minutes to try it out! 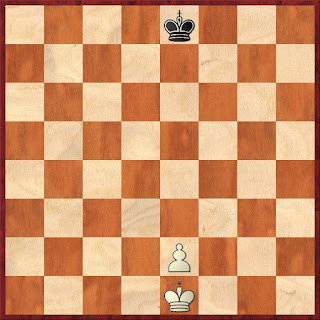 In Mark Dvoretsky's latest ChessCafe column, he deeply annotates a complex rook and pawn ending. Some time ago, I gave a chess seminar in Arizona, USA, where one of the participants showed me an endgame he had played. After the class, I analyzed the endgame with the aid of my computer program, and saw that it contained some difficult and instructive tasks. In trying to solve them, a player can train his calculating technique, and also practice and expand his knowledge of rook endings. My March Scholastic Chess column at ChessCafe is now online. GM Susan Polgar's recent tournaments in Corpus Christi are discussed, as are the extensive happenings at the University of Texas-Dallas. We've got a nice variety of photos this month! In an entertaining bit of trickery, British illusionist Derren Brown plays nine strong players, including several International Masters and well-known Grandmasters. His score in the match is 4 wins, 3 losses and 2 draws. At the end of the video, he explains how he managed this feat. This is the time of year that I normally start researching summer chess camps. If you run a camp, or know of a chess camp that you would recommend, I'd like to hear from you. 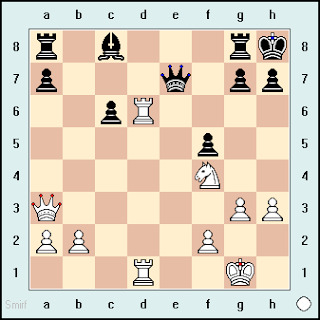 I can be reached at scholasticchess@gmail.com. The Chess Drum noted Orrin Hudson's unplanned, impromptu meeting with Donald Trump. According to BlackNews.com, Hudson, author of One Move at a Time, was sitting in the audience of a Donald Trump speech. Trump noted Hudson's enthusiasm and invited him on-stage, asking him to relate Trump's success story. Hudson did so with such vigor that Trump asked for his card and apparently suggested that he would ask Orrin to appear with him again. We've got a link to a video of Orrin here and another post linking to a review of his book. Two players enter a major tournament. One is an International Master, the other is approximately a 1700-rated player. The two are also husband and wife. While the games are in progress, the husband (the IM) wanders over to check on his wife. They speak to each other, but because this is a tournament hall, they whisper in order not to disturb others. Concerned about their infant son, they walk out of the tournament room together to check on him, and return a short while later. Did the husband and wife, the IM and the class player, leave the room to verify that their child is safe and sound? Or did the IM instruct his wife on a proper game continuation as soon as they left the tournament hall? There is no evidence that anything improper has occurred, yet it is not unreasonable to be suspicious of the situation. At the very least, it puts the IM and his wife in a position where there can be the appearance of impropriety. Not to be overlooked is the stress that this situation likely places on the player on the other side of the board, who sees the IM eyeball the game, then whisper something to his wife, and eventually leave the tournament hall with her. Nothing untoward may have occurred at all, but why create this situation in the first place? Avoid conversations with other players during games that may have the most remote chance of appearing improper. And despite the psychological warfare that regularly occurs at the chess board, have respect for other players' feelings. As you may well have guessed, this scenario is not hypothetical. It happened at the 2006 American Open. You can read more about it at the ChessCafe Skittles Room. The inaugural "Chess in the Schools and Communities International Conference" is slated to take place Aug. 30 - Sept. 1, 2007 at Scotland's University of Aberdeen. The University of Aberdeen's School of Education, Aberdeen City Council and Scottish Junior Chess in alliance with a number of national Chess Federations are hosting this international conference which will explore some of these themes and share ideas emerging from recent research, practice and policy. The main aims of the conference will be to explore the particular contribution of chess play within the school and home environment to the development of thinking skills, emotional intelligence and the creative imagination of children and young people. A further aim of the conference is to explore the contribution made by teachers, chess coaches, children and parents to the development of the ‘will to learn' and the pursuit of knowledge through the sheer pleasure of play. Arguably, within the game of chess we enter a world of infinite complexity and beauty where there is experienced the full range of human emotions and where the intellect is stretched by the power of thought to the very limits of capacity. The playing of the game is a gift of life long learning. Abstracts should be no longer than 300 words and may be submitted by email to Dod Forrest (d.forrest@abdn.ac.uk) or at the address given below. Abstracts should identify the focus of the paper, the questions it will answer and the evidence or data on which it will draw. Abstracts will be chosen for the conference and notified as outlined in the timetable below. I've written three posts discussing Michael Weinreb's new book The Kings of New York and each time I've inadvertently called it The Kings of Chess! Turn Your Volume On But Not Too Loud! 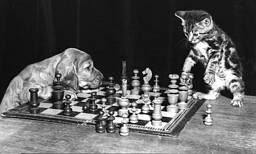 Chess: Not Just For Humans! I Want Chess, Mom, Not Cheese! Who Says Chess Isn't Physical? Is this Chess or Hockey? Chessville posed five questions to each of the four "Polgar Slate" candidates for the upcoming USCF Executive Board elections. Dr. Mikhail Korenman, GM Susan Polgar, Randy Bauer and Paul Truong each provide specific responses to the questions. You can read the entire interview here. GM Yasser Seirawan, as usual, includes a heavily annotated game in his latest ChessCafe column. This time it's a game between Jan Timman and Predrag Nikolic from the 1997 Dutch Championship. Not to keep harping on The Kings of New York, but for anyone involved in the world of scholatic chess, it really is an entertaining book. Sometimes when I tell people I'm a sportswriter they'll ask me whether I have a "favorite sport" that I like to cover. This always seems like a crazy question to me; I always judge the best stories on how interesting they are, regardless of the topic...Two of the best sports books ever written are about high-school basketball (The Last Shot, by Darcy Frey) and high-school football (Friday Night Lights, by H.G. Bissinger). Why not high-school chess? Two new reviews of Michael Weinreb's The Kings of New York have recently appeared. Dave Marcus of Newsday.com has written a review, as has Gary Buiso of Brooklyn's Courier Life Publications. I haven't yet finished the book nor written my review, but my preliminary thought is that pre-teens should NOT read the book, due to the occasional "salty" language used, but parents and coaches SHOULD read the book due to the insight Weinreb provides regarding the internal pressures that chess players are subject to. As for those between the pre-teen years and adulthood, I'd recommend the book, with parental guidance advised. I understand that with America's Foundation For Chess no longer sponsoring the U.S. Chess Championship, the USCF has to consider every option to raise sufficient funds for the tournament. But the USCF has announced that "Between now and April 25, any USCF member may enter the 9-round Swiss tournament." The catch? It's going to cost, and cost big. If your USCF rating is 2500+, buying your way into the tournament will set you back $5000. From there, the lower your rating, the higher the "entry fee." Those under 2000 face a $50,000 entry. Does the USCF really think they'll raise funds this way? And if they do, what does this say for the integrity of the "championship?" What would happen if NONE of the invited players bothered coming and half a dozen crazy businessmen who happen to remember how the pieces move bought their way into the U.S. Championship? We'd have a U.S. Champion whose name would stand alongside those of Onischuk, Benjamin, Seirawan, Browne, Reshevsky, et al. And we'd have a U.S. Champion who conceivably couldn't win the upcoming K-3 championship in Nashville. I'm saddened to see the U.S. Championship falling to this level. As it is, there have been players in past championships that really shouldn't have been there, but I don't think this is the proper direction for U.S. Chess. Personally, I'd much rather have a small but powerful group of players (perhaps 16 at most) hash it out over several days, or perhaps a smaller group with a round-robin format. Another option might be to copy the NCAA basketball tournament and start with 64 players (or 65 if you really want to copy the NCAA) divided into four regional groups of 16 each. After perhaps six rounds in a Swiss format, each regional would have its winner. We'd then have our own Final Four pitting the regional champions against one another, which might take the form of a double round-robin, or perhaps individual match play. Of course, last year's championship format was similar, with two 32-player divisions yielding two finalists who battled it out in a final championship match. Any of these last options would offer challenging, exciting chess that would provide us with a legitimate champion. As to the funding? If sufficient funds can't be raised for a large 64-player format (and if not, we need to ask why not?) then a smaller group should be utilized, perhaps to the point of taking the top eight players by ranking. I'm throwing out a smattering of thoughts, but really, I'd most like to see a consistent format, essentially the same year after year, so that everyone knows what to expect and players know how to qualify. Of course, again it comes down to money. Forget television - it's not going to work. But championship chess really shouldn't be that hard a sell to corporations looking for a sharp, intelligent image for their advertising dollars. Chess may not yet be the hippest corner of American society, but it's also not nerdville, as it may have been perceived to be in past generations. Surely someone out there can pull this off. Someone who has shown the ability to organize large tournaments with substantial sponsorship. Someone who knows how to approach philanthropists, university presidents, and CEOs alike. The USCF Executive Board election is this summer. This card featuring a chess-playing cat (and presumably the dog plays as well) can be found at CatchAll Enterprises. 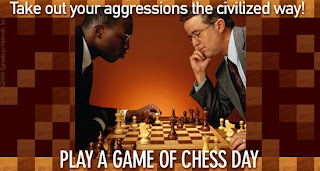 Here's another chess e-card you can send. This one is from egreetings.com. 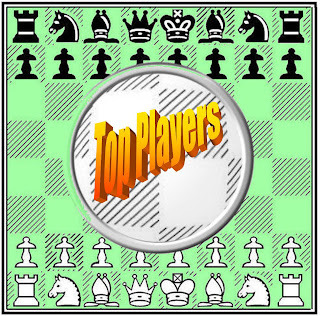 123Greetings.com has three chess e-cards you can send by e-mail to whomever you'd like. The service appears to be free and the cards can be personalized with as long a message as you want. I encourage readers who are aware of other free chess e-cards to pass along this information! 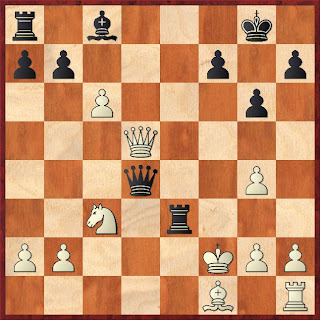 In Gary Lane's newest "Opening Lanes" column at ChessCafe, he analyzes variations from several openings, including the Budapest Defense, the Slav and the Sicilian Dragon. 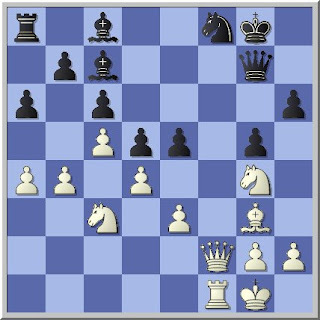 In addition, Hannes Langrock extensively analyzes a specific variation of the Sicilian in his "From the Sidelines" offering. If you're looking for a new twist to try, check these out! ChessDad64 of the 64 Square Jungle notes that Lamarr Wilson has created a new website for the Chicago scholastic chess scene, Chess4Chicago.com. It includes a number of helpful links, including a very extensive article at Chessville which provides detailed suggestions about organizing and running a scholastic chess club. The Chess4Chicago site also maintains a list of local chess clubs and information about upcoming events in the Chicago area. In addition, a nice photo gallery is available at the site. The "Getting Started" links are useful to any chess parent or coach looking for basic information, whether living in Chicago or not. Congratulations to Lamarr Wilson on his fine work, and thanks to ChessDad64 for bringing it to our attention! The United States Chess Federation Executive Board met on Feb. 3, 2007 in Monrovia, CA. An "unofficial" summary of the meeting is available here. You can also listen to a number of audio files of the meeting at the USCF Executive Board page. I've been working on a ChessCafe review of the new Michael Weinreb book The Kings of New York, subtitled A Year Among the Geeks, Oddballs, and Geniuses Who Make Up America's Top High School Chess Team. 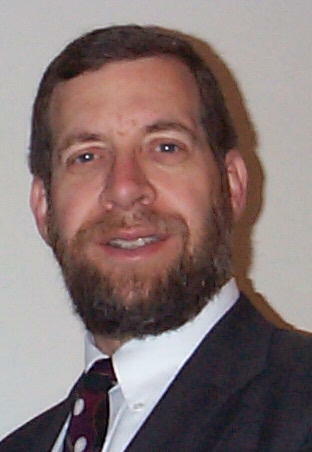 Weinreb follows the diverse and unique individuals who comprise the chess team for Edward R. Murrow High School in New York City. It's quite a book, one which may alternatively anger and amuse the reader, so it caught my eye when several recent related internet reports have appeared. On March 2, a NY1 News report went online about the Murrow team preparing to play in the 2007 New York State Scholastic Chess Championship. It includes a button to click for a quick two-minute video news report. The following day, a similar article by Amanda Bensen appeared at PostStar.com. Today, March 5, another NY1 News report from today says simply: "The 'Chess Wizards' from Edward R. Murrow High School are moving along in their quest for a fourth straight national championship. The team won the state title this weekend." Two interesting reviews are already out, one from the New York Times by James Kaplan, and another at EW.com by Wook Kim. 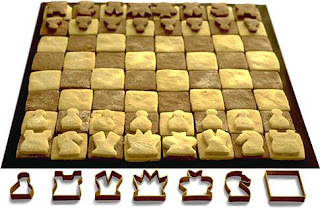 This British website shows the tastiest-looking chess set you're likely to come across! As the site explains, "Each piece can be made into biscuits. Not only do you have the satisfaction of taking a piece, but you can eat it as well!" Reader Mark Nibbelin provided this link to the 2007 Illinois State K-8 Chess Championship, set for March 10-11 at Illinois State University in Normal, Illinois. U.S. Junior Champ Robert Hess is Now IM-Elect Robert Hess! Jennifer Shahade reports at Chess Life Online that current U.S. Junior Champion Robert Hess has achieved his third and final IM norm at the 2007 Cannes Open in France. My August 2006 Scholastic Chess ChessCafe column included an interview with Robert and I noted at the time that he had already achieved two IM norms. Congratulations to IM-elect Robert Hess! The University of Texas-Dallas (UTD) is well-known as one of the chess powerhouse schools and for good reason. Not only do they perenially place either first or second (along with the University of Maryland-Baltimore County) in major collegiate tournaments, they frequently host events that support the greater chess community. On February 27, 2007, renowned coach David MacEnulty received the 2007 Chess Educator of the Year award at UTD's McDermott library. 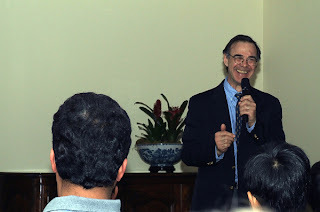 Some 80 people attended his lecture entitled "Chess: Helping the Whole Child." 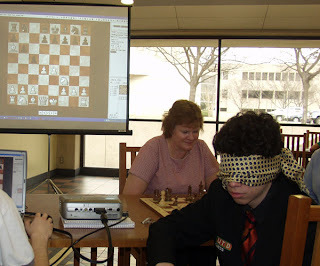 The following day UTD held its Chess Fest VI, in which UTD's GM Alejandro Ramirez conducted five consecutive blindfold games, winning each of them. In addition, various UTD team members played in a simultaneous exhibition, also going undefeated. More information should be available soon, both at Chess Life Online and in my upcoming Scholastic Chess column at ChessCafe. 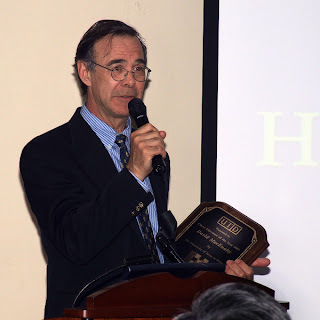 Thanks go out to Dr. Alexey Root of UTD for contributing information and photos to this report. A Freilichin Purim to All! The TCA workshop will highlight current thinking in chess in education to encourage the growth of chess in K-12 schools. Participants will learn about the TCA and about the benefits of chess in the classroom, especially for gifted-and-talented students." For additional information, contact Dr. Alexey Root at 940-484-2265 or by e-mail at alexey.root@gmail.com. In a story reported at Chess Life Online, the USCF Executive Board has approved a bid by longtime tournament organizer/director Frank Berry to run the 2007 U.S. Championship. It is scheduled to take place May 15-23, 2007 in Stillwater, Oklahoma, where Berry recently held the successful 2007 Winter North American FIDE Open. It appears that the prize fund will be a fraction of what was provided in previous years when the AF4C ran the U.S. Championship. Berry is providing $50,000 toward prizes and player expenses, with the possibility of more to come, and the USCF has agreed to contribute $15,000. Details of the championship format remain to be ironed out, but it appears likely that the field will be considerably less than the 64 players in recent years. It is also possible that a champion will not be crowned at the tournament - the top two finishers may be asked to return for a final match later in the year. The championship has appeared to lose a bit of its luster, but we applaud Mr. Berry for salvaging the event for this year and for donating his services as tournament director, as are Jim Berry and Alex Relyea.